Geocoding is the process of converting addresses (like "1600 Amphitheatre Parkway, Mountain View, CA") into geographic coordinates (like latitude 37.423021 and longitude -122.083739), information you can use to either position the Map collection or place markers on it. Reverse geocoding is the process of converting geographic coordinates (latitude/longitude) into a human-readable address. These two interface assets rely on the Google Geocoding API. 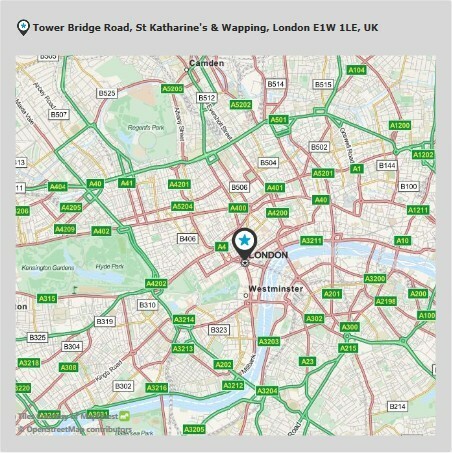 For more information about the Geocoding API, see this article. This Interface Asset enables a user to search for an address, returning a list of results with both latitude and longitude information as well as well-formatted address for this geocoordinates. You can then display this list using a Map collection, or display only the best result as shown in our default design below. The properties below are read-only, meaning you can only access them through binding. Use them to display the results of your search. All Results: the list off all found results. Each result is comprised of a with the same Latitude, Longitude and Address. Coordinates not found: raised when no results were found. Contains the entered address and an error message as parameters. There are no specific actions for this interface asset. 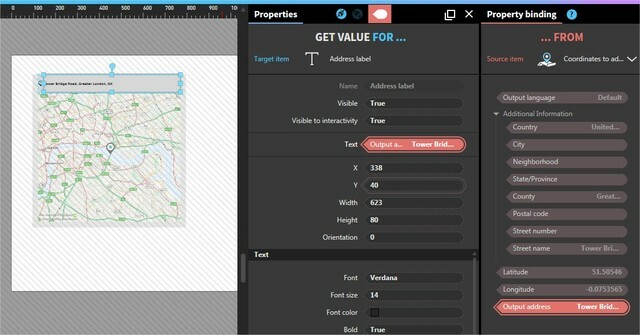 However, the generic Set asset properties actions are available for the purpose of changing the Address or Language properties to perform a new search. 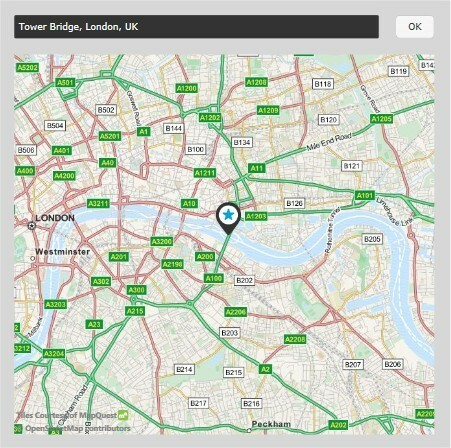 This interface asset enables a user to convert a latitude/longitude pair into an address. The geographic coordinates can come from an external data source (e.g an Excel spreadsheet for example) or from the Map collection itself. In the default design, tapping or double tapping a location will give you the nearest address found. Output language: The language in which to return results.